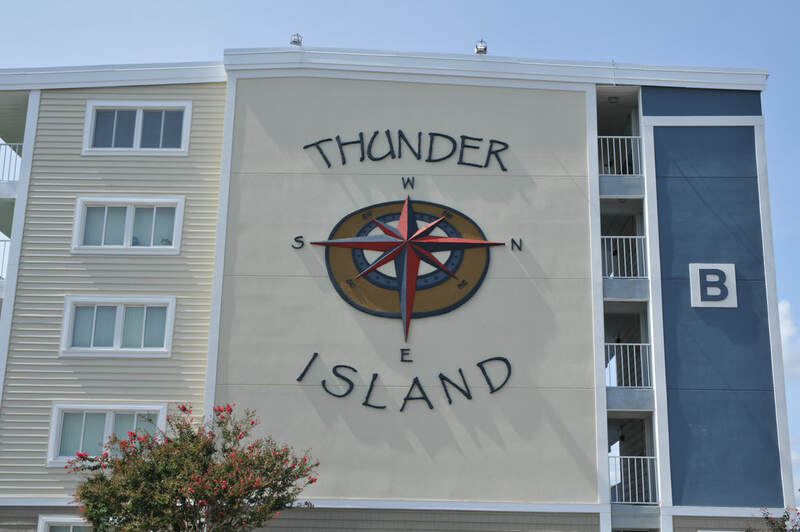 Thunder Island is a four-building, 175-unit bayfront community in the heart of Ocean City – adjacent to the Rowland J. Powell Convention Center on 39th Street. Each of the four buildings that make up Thunder Island is five stories high. Building A houses 30 units, Building B is comprised of 75 units, Building C also has 30 units, and Building D has 45 units. Buildings A, C, and D each have one elevator, and Building B has two elevators. Each unit in the complex has two bedrooms, two bathrooms, a living room, and dining area with sliding glass doors opening to a large, private balcony. Sit back, relax, and enjoy the gorgeous bay views; take a dip or two in the private pool (open daily until 8pm in-season); head to the beach just a few short blocks away, and more! Pets permitted by owners only. We would like to improve communication by increasing the use of the Thunder Island Web site and email communication. We will be adding a secure area that would be used for Thunder Island Board and owner communications only. Regardless, using the TI Website can make information easier to access, thus keeping owners better informed. For information on the amended By-Laws, House Rules, MD Condominium Act, OC City Ordinances, and more, please use the Contact Us form. Thunder Island’s complex is managed by OCREM.